Sue Smith, Jeff and Lois Denley, Chris Rogers, Derrick Smith, Fay and Bill Walker. All on our way to Denmark. Some of the Lakeside Drifters had met up with Sue and Derrick from Southern Nomads twice on Eyre Peninsula and the we ran into them today at Lake Cave at Margaret River. We all enjoy meeting fellow ACC members especially on our way to Denmark for the ACC National Muster from 14/10/18. 51% of the vans weighed were over their ATM. 24% of tow vehicles weighed were over their GVM. 8% of tow vehicles weighed were over their GCM. Highest reading over-weight single-axle caravan, 618kg. Highest reading over-weight tandem-axle caravan, 485kg. Highest reading over-weight tow vehicle, 215kg. Highest reading tow ball mass 405kg on a caravan with an ATM of 3350kg. These results are from 2000 caravans that were randomly inspected. With these results, can we expect to see Department of Transport inspectors beside the highway soon? It was not stated whether drivers were fined or cautioned. 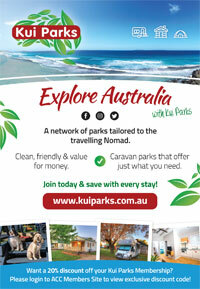 The Australian Caravan Club is delighted to welcome Kafe Kookaburra to its member benefits programme. Kafe Kookaburra is in Nana Glen, NSW. Where’s Nana Glen?? ?....., well it’s just 25kms inland north-west of Coffs Harbour on the Orara Way. Enjoy the rustic Cafe/Restaurant where you can enjoy the view of the valley from every seat. With an extensive menu on offer, including wholesome fresh food, locally roasted coffee and beautiful homemade desserts, it’s the perfect place to stop and relax. You can also peruse through a selection of artisan smallgoods. They are Pet Friendly, Bike Friendly and with ample parking for the biggest of vehicles. Kafe Kookaburra offer ACC members a 10% discount on their menu. Pre-arranged group bookings will enjoy a 15% discount. 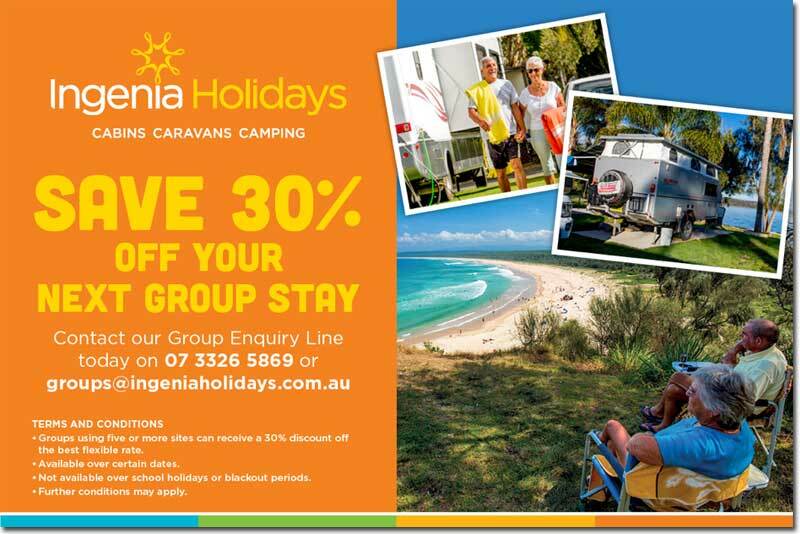 The Australian Caravan Club is delighted to welcome Rainbow Pines Tourist Park to its member benefits programme. 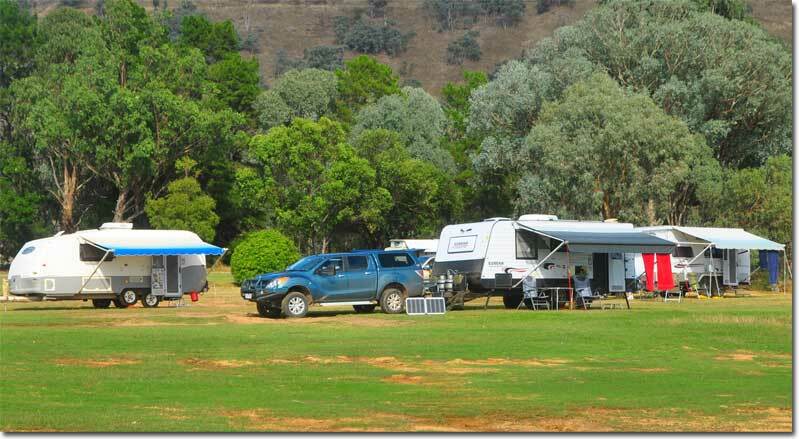 Rainbow Pines Tourist Park is situated on the shores of beautiful Lake Eucumbene only 40 minutes to Selwyn Snowfields with the breathtaking Snowy Mountains as its backdrop. The heated amenities block includes disabled/family rooms, while most of the powered sites overlook Lake Eucumbene. The Onsite shop is stocked with basics such as bread, milk, bacon, butter, etc and a lot more to make a meal. The shop also has a large collection of fishing tackle and bait ranging from hooks up to complete trout combo's from Abu Garcia. Pets are permitted with a current vaccination certificate. Rainbow Pines Tourist Park offer ACC members a 10% discount up to $50 per stay. 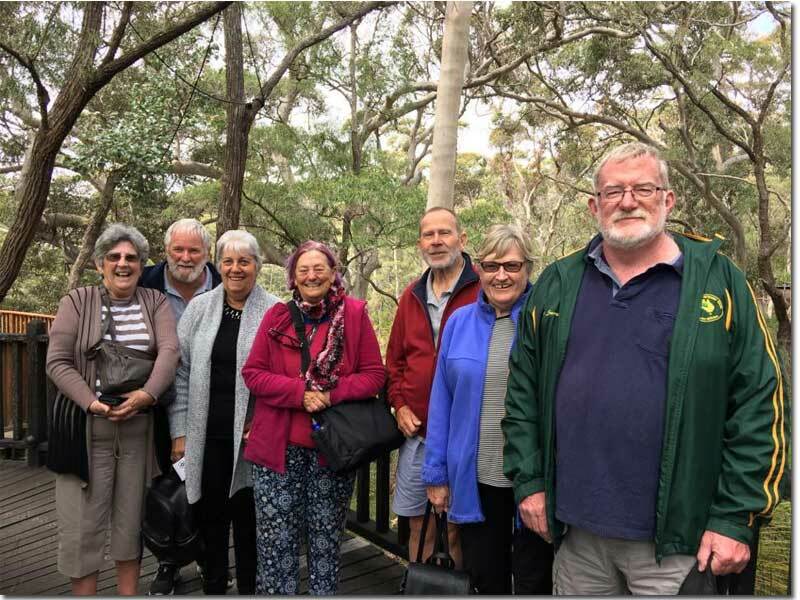 The Australian Caravan Club is delighted to welcome Belair National Park Holiday Park to its member benefits programme. Belair National Park Holiday Park is situated within the boundaries of the tranquil Belair National Park, just 13km south of Adelaide city centre. It is South Australia’s oldest National Park covering 835 hectares and is home to Old Government House – a significant heritage building. Guests of Belair National Park Holiday Park may choose to explore the many walking trails located within the National Park, play a round of golf at the Belair National Park Golf Course, enjoy a meal and a drink at the Belair Park Country Club or just sit back and relax by the pool and forget that the city is only 25 minutes away. The park is ideally situated for day trips to explore the Adelaide Hills, Barossa and the Fleurieu Peninsula. At the end of the day, relax by a fire pit (winter only and dependant on conditions) and talk about your day with new friends. Dogs are permitted on powered & unpowered sites only. Belair National Park Holiday Park offer ACC members travelling in Winter a powered site for $30 per night or stay for 7 pay for 6. At other times a 10% discount.